When you’re the state’s leader in school bus transportation, you’re expected to be on time, every time, and provide all the answers. 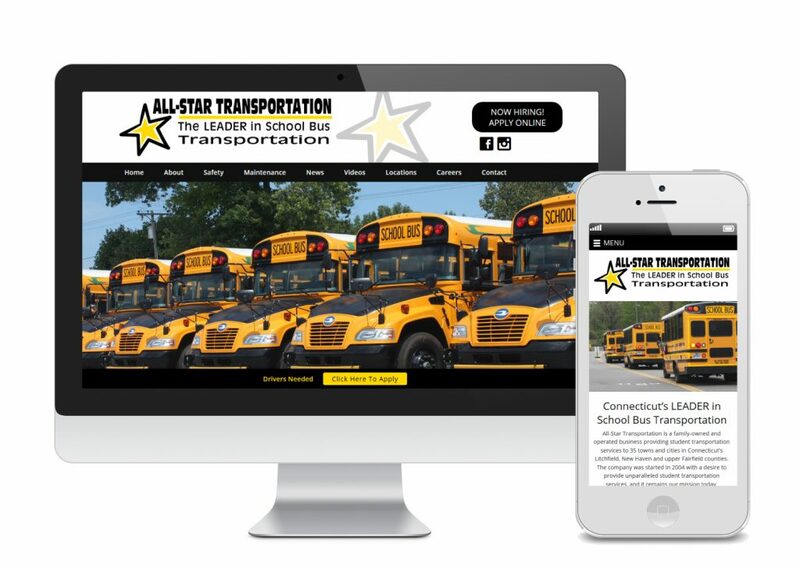 The new All-Star Transportation of Waterbury website design by SkyeLine Studio was a complete website redesign with that goal in mind. As every parent knows, a school bus is more than just wheels, seats, and a steering wheel. It represents security, safety, trust, and community. All-Star Transportation wanted to infuse those same values in its new site. To not only serve as a portal to its own company with corporate headquarters in Waterbury, CT, but also to the 35 communities it serves in Connecticut’s Litchfield, New Haven and upper Fairfield counties. All-Star’s daily task is no small feat. They must ensure that every student makes it to school on time and then back home again safely. With a fleet of over 900 vehicles, that’s more than 47,000 students every day. Our challenge was to build a website that answered every question that one of those thousands and thousands of parents could potentially ask. Questions such as, “What time do Waterbury elementary schools get out this week?” and, “How will my kindergarten student’s first day of school go on the bus?” Parents need to feel 100% confident and knowledgeable about who will be taking their kids to school day-in and day-out. SkyeLine created a site that would address these issues in a clear, concise and friendly manner. One of the most important features of the website are the location pages, a great resource for both families and students. Each page is emblazoned with an image of a school bus that serves that particular town or city. It contains helpful information such as bus routes, dismissal times, school calendars and time-saving tips like bus pick-up and drop-off procedures. It takes a lot of trusted, experienced employees to drive this company. All-Star Transportation employs more than 1,000 people, including managers, dispatchers, safety supervisors, mechanics, monitors and, of course, drivers. A careers page lists all of the current job openings so that All-Star can attract, find, manage and screen through the best applicants for the job. To view the new website for All-Star Transportation visit All-StarTransportation.com. Contact SkyeLine for more information on Website Design in CT & Beyond. When a new client comes to SkyeLine looking for help with their local CT Website SEO one of the first things we check is if they have a complete Google My Business account. It’s the most important factor for successful local SEO according to the 2017 edition of Moz’ Local Search Ranking Factors Survey. 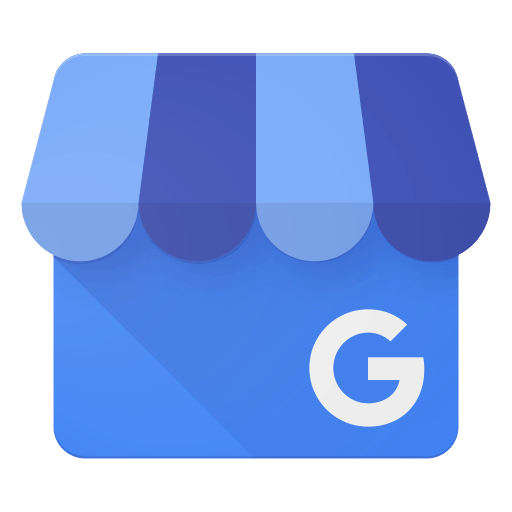 So what is Google My Business and what do we mean by complete listing? Your business is likely already listed on Google My Business. Think of it as Google’s online business directory. To find your listing just google your business. Get it 🙂 Unless your business name is very common in your area (think Ray’s Original Pizza in New York City) you’ll see your listing in the top right corner of the screen. The Google machine and customer feedback creates your listing, so it often has incorrect info. Plus, without your input it isn’t living up to it’s full potential for local CT Website SEO for your business. If your listing isn’t claimed (which it shouldn’t be if you didn’t set it up yourself) you’ll see a link that says “Own this business?” Click on that link and create a Google My Business Account. You can also create that account directly at Google.com/Business. Once you’re logged in to your account and have started the process to claim your listing, you’ll have to verify you are who you say your are. This prevents your competitors from claiming your listing. Verification is sometimes possible with a Google robocall where you’ll get a verification code at your business phone number. If that’s not listed as an option (it’s not always available), you can choose to have a postcard mailed to your business with the verification code. Update Your Listing & Your Local CT Website SEO Is Magically Improved! The final step is to update the info on your listing. Check your hours, accepted methods of payment, website link, phone number, etc. You can also upload your logo and some photos of your store. Finally select a primary category for your business as well as some sub categories. For SkyeLine we’ve selected Website Designer as our main category. You can only choose one main category and this is where you’ll get the most exposure on Google. For our sub categories we’ve listed our other services – Marketing Agency, Graphic Designer & Photographer. These will get less exposure than the main category but will also show up in some local searches. The way food tastes is one of the main reasons customers return to a restaurant after their first visit. However, good food photography has a huge impact on getting customers through the door in the first place. Crisp, vibrant and appetizing food photography of your best dishes and cocktails is a must. Hiring a professional service like SkyeLine Studio is one option, but if you’re on a budget, taking the ct restaurant photography yourself is very doable with even the latest model Android or iPhone cameras. When you eat dinner, do you turn on a lamp and shine it on your plate? How about a strobe light installed in your kitchen for Taco Tuesday? Food looks best and photographs best in natural light. That means identifying the table or booth in your establishment where the ambient natural light is the strongest. For a lot of CT restaurant owners, this practice goes against the grain. It’s hard to overcome the mindset that food should be displayed in the ‘best’ part of the restaurant, like near the bar or in view of a bank of TV screens. You’re not looking for direct sunlight; so don’t wait until late afternoon when you’ve got a blazing ball of heat in your face. Pick a time of day where the ambient light is really making the interior of your place beautiful. I usually find the slow time between lunch and dinner is the best lighting as well as the most convenient for taking food photos. Here’s a quick wrap-up on using your restaurant’s natural light to make the photos of your food look their best. 1. Find the best possible spot inside for natural lighting. 2. Use the time of day and possibly a window shade to ensure that the incoming sunlight is ambient, not direct. Looking for a CT Food Photographer… view our work here. Let’s face it, social media marketing isn’t rocket science; it’s about taking your message and successfully engaging with those who have a connection to your business. However, if no one is seeing what you are posting, how can you engage with them? As a CT Facebook Advertising Firm, SkyeLine Studio recommends Facebook Ads to all our social media clients. Spreading your message on social media can eat up the one resource that can never be replenished: your valuable time. 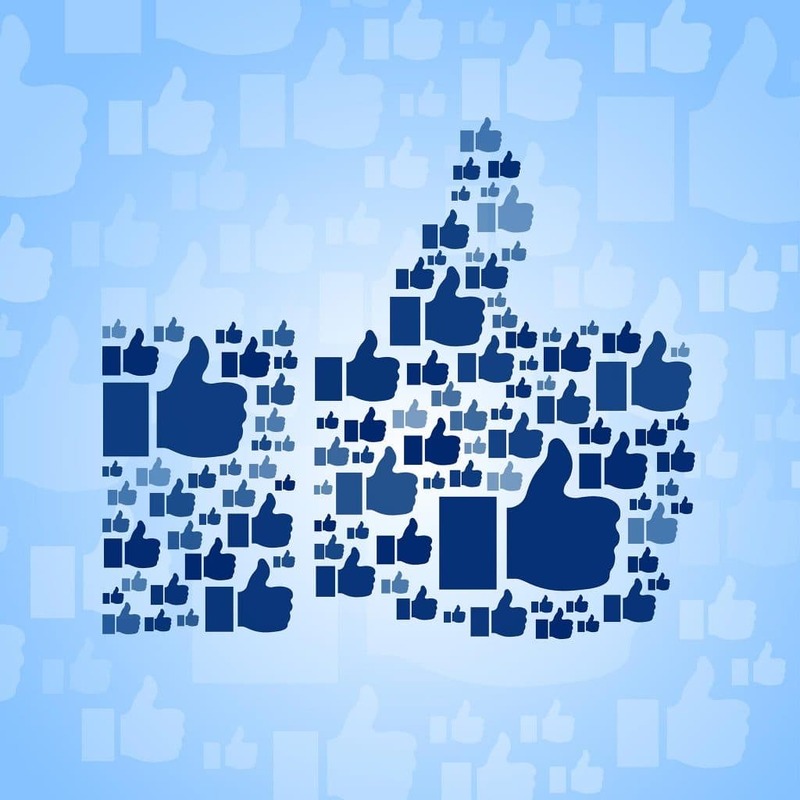 Look back at the last few posts you’ve made to your Business Facebook page. How many people viewed each one of them? Considering how much time it took to formulate and execute each post; was it worth it? What Can Boosting Posts On Facebook Do For Your Business? Boosting a post on Facebook allows you to take those same posts and push them to the top of your target audiences’ news feeds. For as little as $5/post you can increase your visibility to hundreds, even thousands of people. Facebook advertising is Social Media 101 ever since Facebook’s 2014 announcement that it would begin penalizing organic promotional material in news feeds. Since then, every reputable study done has shown brutal returns with as low as 2% – 6% of fans seeing posts from your Facebook Business page. Most people willingly share profile data with Facebook when they sign-up for an account. This data is the nectar of the gods for small business owners and marketing firms like SkyeLine. There’s a so much information waiting for us to target – gender, age, location, interest groups, and more. If your business marketing could use a boost – Facebook or otherwise – click here to contact CT Facebook Advertising Firm, SkyeLine Studio. We can enhance your social media or train you how to bring your own social media marketing to the next level with Facebook Advertising. 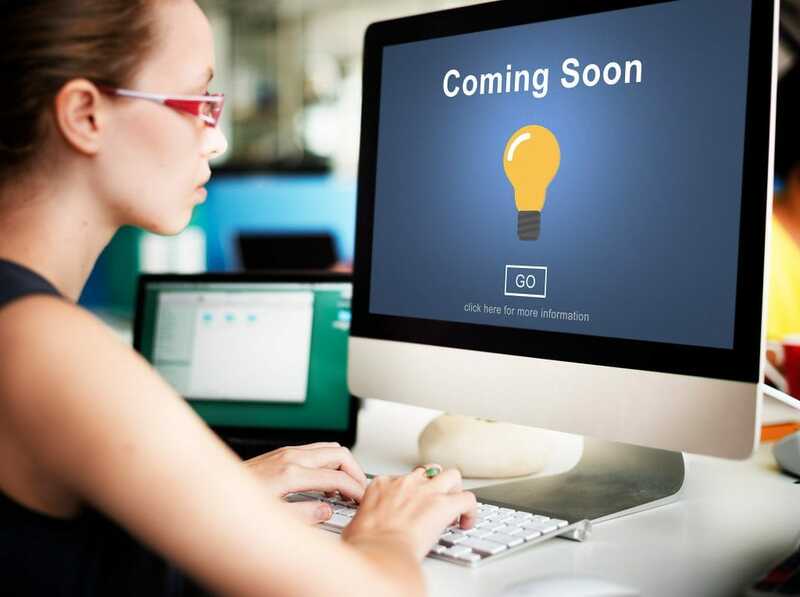 After you register a new website domain for your business, your next step should be to get a coming soon page up and running. A coming soon page is a mini website (usually one page) that serves as a placeholder for your new URL. The job of the coming soon page is to inform visitors what they can expect from your permanent website. Coming soon pages are simple, but that’s not always a bad thing in today’s world of limited attention spans. Just because your coming soon page is simple, and will disappear once your permanent website goes live, doesn’t mean that it should be boring. It should utilize the same design aesthetic as your main website as well as your company logo, colors and photos if they are available. Just like any other page it should be mobile friendly. A good coming soon page will list your important business information – phone number, email address, physical address, hours of operation, etc. Restaurants can also put links to their menus. Listing a short mission statement about your business is a good idea. It will give people an idea of type of company you are. Beyond its informational purposes, coming soon pages should intrigue your audience. If someone is visiting your website, they’re curious about your business, and they’re looking for more information. You should post links to your social media accounts to keep them excited and engaged. Most importantly make sure that you add an email collection form on your coming soon website. Let visitors know you will contact them once your permanent site is launched. This creates a mailing list for your business and increases chances of revisits to your site. Make sure that you let visitors know why they are signing up for your email list. You should also remind them that they can unsubscribe at any time and that you won’t share their information with anyone else. Today’s restaurant goers are connected. They want to share their experiences with their friends on social media and a big part of that experience includes the food they eat at your restaurant. Your best bet? Embrace the new social aspect of dining out and understand that folks are going to have their cell phone cameras ready. To get the most bang for your restaurant social media effort, encourage photos and give your diners something special to put on their feeds. Social media interaction is the new marketing currency and you should be directing your customers to interact with your accounts. You’re creating a buzz around your restaurant every time someone shares a photo and tags you in it. With each photo you’re tagged in, you’re encouraging your customers to follow, tweet or repost your content. You want more out of your restaurant social media than a wall full of delicious looking food – you’re ultimately looking for followers, and with that comes an audience to share your upcoming specials and events with. By encouraging photos and interaction in your restaurant, you’re creating a dialog with your customers that keeps them informed and coming back. With your end goals in mind, make sure you’re giving your customers something special to take photos of. The most important tip we can offer is to make your food presentable and interesting. The cooler the presentation the more likely it will be photographed. If you’re able, use sauces and coulis to personalize your patron’s dessert – you’re almost guaranteed a photo tag if you include the diner’s name or a happy anniversary or birthday message just for them. Even encourage photos by training staff to offer to take photographs for patrons during off-peak hours. Do you have interesting décor at your restaurant? If not, add something unique that will start a conversation and get your customers to take out their phone and snap a pic. A great example is at Southington, CT restaurant Zingarella. 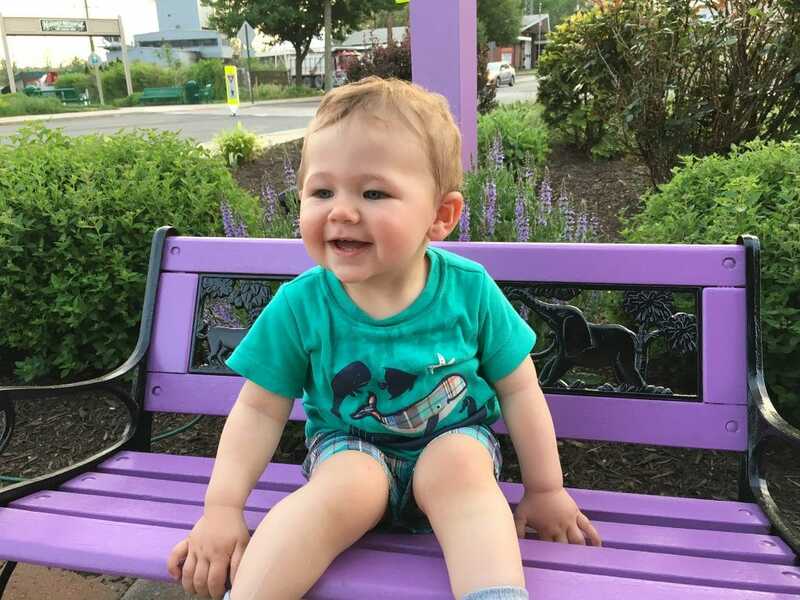 They keep a pair of special miniature purple benches in the entryway to encourage children and adults alike to pose for photographs. The benches are so cute it’s hard to resist snapping a pic and tagging the restaurant on Facebook or Instagram! Restaurants can also harness the power of social platforms by embracing new technology and features as they become available. Facebook now offers Facebook Bluetooth® beacons – a feature that encourages patrons to like or check in at your restaurant if they open their Facebook app while on your property. You know how often a person checks their Facebook feed these days, so it’s almost a guarantee. The key to getting your patrons to interact with your restaurant social media is to make it clear that you encourage and appreciate it. Have signs around your establishment directing them to your pages and create a unique hashtag they can use while posting about their dining experience with you. Above all, have fun with social media and you’ll see your customers will respond in kind. Social media is about having fun and sharing the experience! One of the first things we tell any new CT web design client is the importance of a clear call-to-action (CTA) on their business website. According to research released by Google, most first-time visitors to a website will stay on a landing page for less than 30 seconds before moving on. Most website users are lazy and won’t put it the extra work to find buried details when trying to get a sense of your business and what you can do for them. They won’t spend long minutes clicking through your drop-down menus and they won’t bother scrolling endlessly down to get to the “good stuff.” If they can’t find what they’re looking for right away, you’ve lost the battle to convert them into a customer. We see this every day with our CT web design clients. Think about that for a second – as a business, you have less than half a minute to make it clear to your visitor who you are, what you’re about, and what you want them to do next. That’s where a call-to-action (CTA) comes into play. Call Now. Buy Now. Contact Us for a Free Quote. 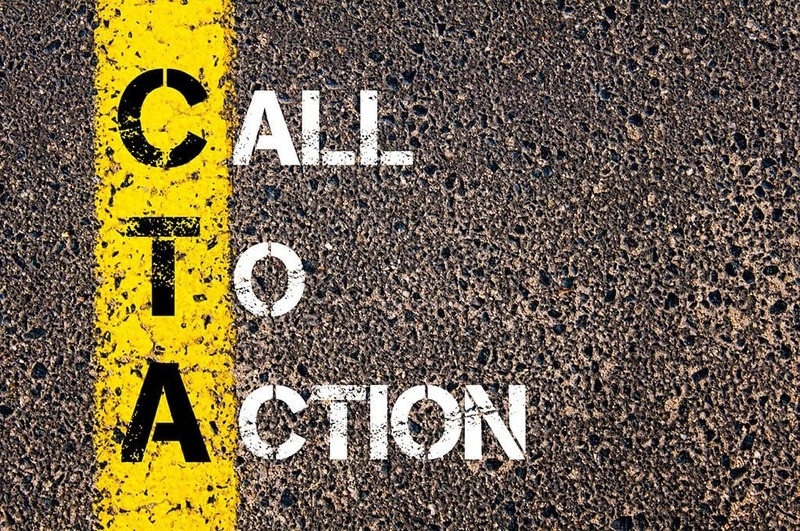 A Call-to-Action is an instruction you give your visitor to perform one specific task. Examples of CTAs include signing up for a newsletter, liking a social media page, or clicking a “buy now” button to purchase a product. If you want a website user to visit your brick and mortar restaurant, make sure your address and directions are easy to find. Additionally, make a mobile-friendly menu available. If you want a website user to fill out a form to capture their contact details, make sure the form is front and center on the homepage, or at the very least, make a button linking to the form clear and obvious on your landing page. Don’t make your visitor search for it. If you want your website visitor to buy a specific product, show it on the homepage and make sure your checkout experience is easy and secure. Other good advice when it comes to your website making a good first impression includes listing prices if you’re able. It’s easier to list your prices up front than to deal with unreasonable expectations later. Having transparent pricing information also helps you build trust with new customers. Lastly, be sure your site is mobile friendly. In today’s smartphone age, most people do at least some of their browsing on their phones or tablets and if your website falls apart when the screen size changes, you’re losing potential business before you can even make your first impression. For more information about how we can help you with your CT web design needs, or to get a quote, go to www.skyeline.com/website-design/. 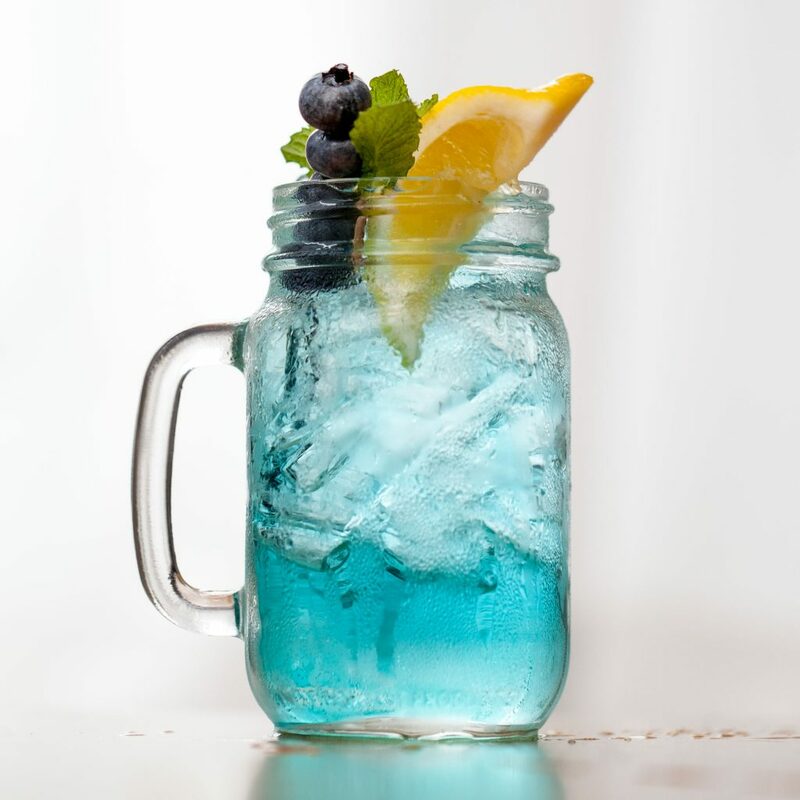 While football fans across the country are picking sides and prepping for the big game, savvy Connecticut restaurant owners and managers should take note and make a few tactical preparations in their marketing and planning too. Pizza restaurants should pay close attention – Super Bowl game day is the busiest day of the year for venues that serve and deliver pizza per the National Restaurant Association (NRA). Now’s the time to take to your website, your social media, and to put up in-store reminders that your restaurant offers catering, delivery or take out services. If you put out regular mailers in your local newspapers, now’s the time to get the word out on any specials or services you might have in conjunction with Super Bowl Sunday. It’s a fact, people and food on Super Bowl go together like Valentine’s Day and roses. Speaking of Valentine’s Day, did you know that, per the NRA, Valentine’s Day is the second busiest day of the year for restaurants around the country? People love to shower their loved ones with a special night out and a meal from their favorite place, so why not make sure your restaurant is ready for the influx of lovebirds? Be ready for tables for two. Go that extra mile and make the table setting romantic with candles and fresh flower arrangements and be sure the ambience (music and lighting) match the mood you’re aiming for on this special occasion. Make your Valentine’s menu special by focusing on perennial favorites like seafood and steak (think Surf and Turf entrees) and decadent desserts. Pull out all the stops for your romance junkies and they may reward you by become regulars if they weren’t already. 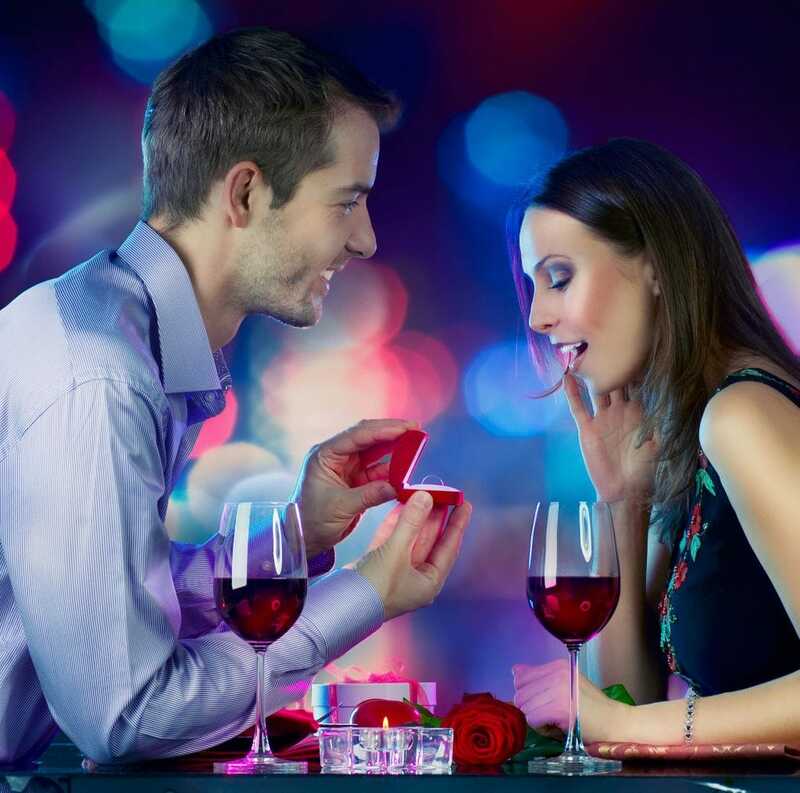 Putting on a good show for Valentine’s Day is a great way to make believers out of people hesitant to give your venue a try. Also, if your restaurant doesn’t normally take reservations, consider a change in policy for that night and encourage people to make reservations well ahead of time for Valentine’s Day. All the little things you do in terms of preparation and marketing for these two restaurant holidays will pay off big in the end. When it comes to photography, food photography has always been my favorite. It’s my comfort zone – restaurant photography in CT is what I do best. But we’re already two weeks into the new year and it’s the perfect time to embrace new and exciting challenges – to push ourselves outside our own creative boundaries. This year, I’ve decided to challenge myself with a ‘52 Week Photo Challenge.’ The premise is that you’re given a different weekly prompt or idea to work with on your photography. There are numerous groups on both Instagram and Facebook you can join if you’re interested, just search and choose the one that feels right to you. This first week, I was challenged to take a self-portrait – a far cry from CT food & drink photography, but one I was willing to embrace. The second week was about using natural, indoor lighting. These different challenges help you look beyond the known (for me its photos of restaurants, food and cocktails) and attempt to photograph new, challenging subjects. Some weeks the prompts focus on landscapes. Other weeks are portraits or capturing people in various poses. Within the challenge, you have the freedom to push yourself further – if you never do B&W photos try that, if you always shoot in B&W try some vibrant super saturated colorful photos, try macro photography or landscapes, just try something new! The group aspect of the challenge is where you find real growth. Getting inspiration from photographers who are on different paths or places in their creative journeys can only be a good thing – and knowing that your weekly contribution will be seen (and even appreciated) is more accountability to keep you going and not give up when it gets challenging. 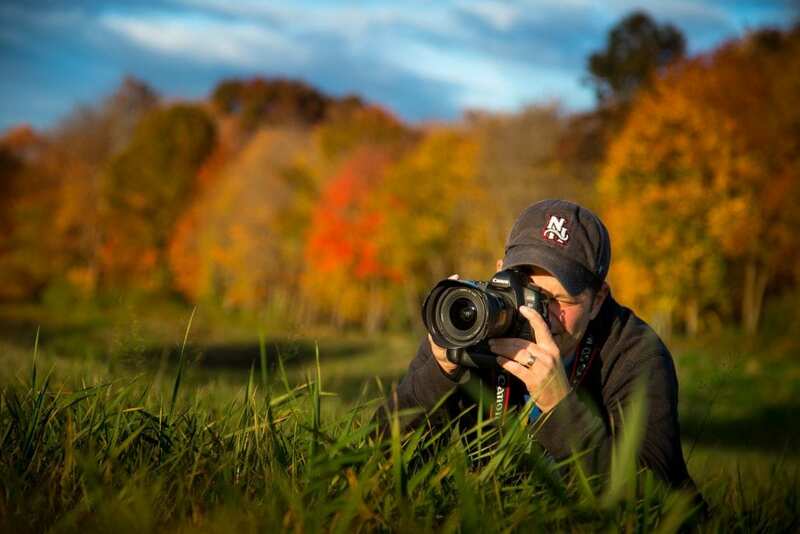 Another great benefit to an undertaking like this is what you learn about your camera. New shots and new techniques will force you to really get to know your equipment and get the very best out of it. So, if you’re like me and you love a good creative push to get you out of any ruts you might be in, consider joining a ‘52-Week Photography Challenge’ and see just what you’re capable of. In the end, even if shooting delicious burgers and cocktails is my favorite thing, I’ll have learned more tricks and techniques to apply by challenging myself this year! 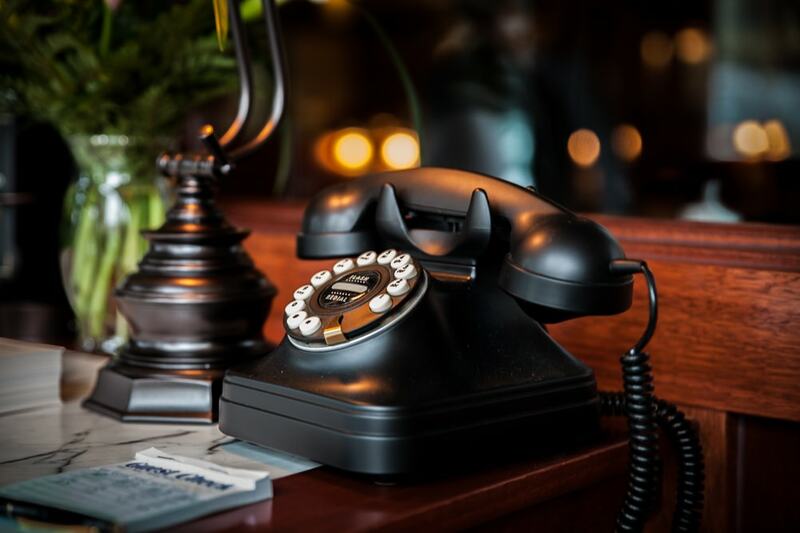 In the age of electronic communication, do phone numbers still have any value when it comes to your business’s web design in CT (or any state for that matter)? If you’re hoping to convert page visitors into customers, they certainly do! Featuring the easiest and quickest way for your customers to reach someone to speak with lends your business credibility and works on building trust with your valued customers. Beyond that, ease of communication works wonders for getting customers through your door. Knowing that your business is available to speak with them when they need it most, goes a long way in building lasting relationships and returning clients. People who need one-on-one interaction, who need to speak with a real, live person before purchasing something, will abandon ship if they can’t reach you easily. Cell phones are rapidly surpassing traditional computers as ways to look up information (especially on the go) and putting your business’s phone number front and center saves your customer from having to dig through a mobile-enhanced site to find the information they need. Delays equal lost business since frustrated customers who can’t reach you when they need to, won’t stay customers for long. So, as you’re planning your business’s web design, don’t overlook the importance of placing your phone number prominently. If you’re forced to choose between your phone number and, say, links to certain social media accounts, the smart money is always going to be on the digits – the quickest way for anyone to connect with the heart of your business.